when assessing the quality of a company’s business. Of equal importance is the capacity of the company and its management to design and implement manufacturing processes that are sustainable from an environmental perspective. The awareness of the environmental impact of our activities has given way to increasingly diversified and structured initiatives and the subject of sustainability has become central, so much so that it actively encompasses all areas of the organization. On the one hand it concentrates on the products with the creation of environmentally and recyclable goods, and on the other hand it involves the implementation of sustainable production processes inside buildings with a high energy efficiency. Constant commitment in pursuing of an environmentally friendly behaviour has been awarded by the excellent results achieved, which we will illustrate here and are an incentive today to persist with the continuous improvement of products and processes. The collection of data and facts related to our daily commitment towards sustainability is now in our first Sustainability Report, born from the desire to establish an open dialogue with our Stakeholders, merging the achievements we obtained to the targets we set ourselves for the future. The Report gathers the Company's with an overview from 2010 to 2015, in order to have a picture on the five-year period. In preparing the financial statements we followed the GRI G4 guidelines covering the three major themes for Valsir: Environment and Energy, People and Territory, and Processes Alliance of Values. 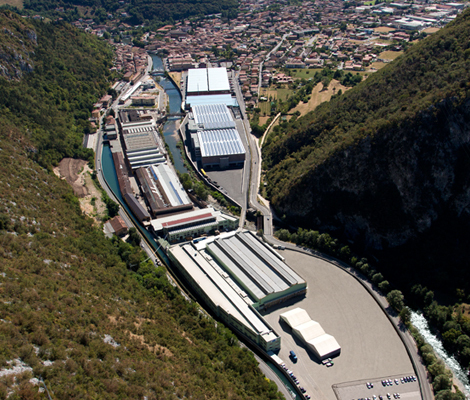 The logistics and production hub in Vobarno (BS), built as an extension of the previous Valsir production area which has always been used for the production of multilayer pipe, was meticulously designed to reduce the environmental impact and energy consumption. The building was completed in record time, from August 2011 to August 2012, in just one year, from the acquisition and demolition of the dilapidated disused factory to commissioning. 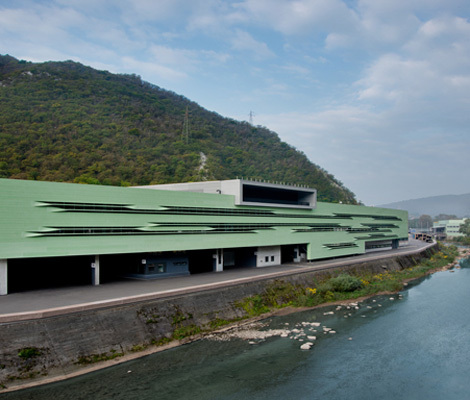 It was one of the first production facilities in Europe to be awarded a class A rating in energy efficiency. The materials for the exterior were chosen to help the building to blend in with the surrounding environment, thus reducing the visual impact as much as possible. Positioning of the production plants was studied in order to reduce the noise emissions to the nearby residential area to a minimum. Much consideration was given to consumption optimization: the building was insulated in order to reduce energy loss to the outside and designed in such a way as to exploit natural daylight for internal lighting purposes. This allows diffused light to be delivered to the production areas, thus significantly improving the quality of the working environment and reducing the consumption of electricity. The first energy efficiency retrofit works involved the roofs of the premises in Vestone where today solar radiation is used to produce electricity in the production plants in a clean and renewable way by means of photovoltaic panels. In 2014 approximately 100 m2 of solar panels were installed with the capacity of producing renewable thermal energy both for production and for water facilities in the two premises in Vestone and Vobarno. transport logistics to be optimized for clients thanks to the new finished goods warehouse. The number of inter-company transports of materials to be reduced. Transfer of servers to blade environment. Increasing employee awareness of the conscientious use of the PC. In Valsir there is a strong awareness of differentiated waste collection at all levels, both in the offices and in the production departments, an activity that requires daily attention and consistency over time. In 2013 Valsir decided to undertake another environmental commitment: the company only prints on FSC paper. Valsir’s attention to the responsible use of resources, in particular a precious commodity such as water has inspired investments in research and technological innovation of its products, to offer the market technologically advanced solutions that respect the environment. Radiant panels are ideal for achieving a low temperature heating system and at the same time ensuring an elevated level of comfort, thanks to the uniform distribution of heat inside the room. The Rainplus® system for the syphonic drainage of rainwater features the most modern technology in the field of drainage from the roofs of medium to large size buildings. In winter months and in certain geographical areas, the opening of a bathroom window to let in fresh air or to let shower or bath steam out can generate a sharp drop in the temperature of the room with a consequent loss of heat and the need for more energy in order to reach the former temperature. The Green Building Council of Singapore issued the Green Building mark for Valsir Triplus® and Valsir HDPE. 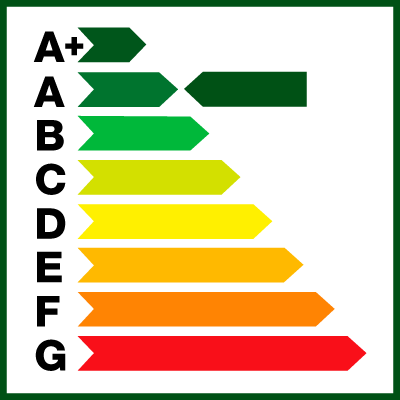 Life Cycle Assessment is a technique to assess the “environmental impact” of the product, “from the cradle to the grave”.